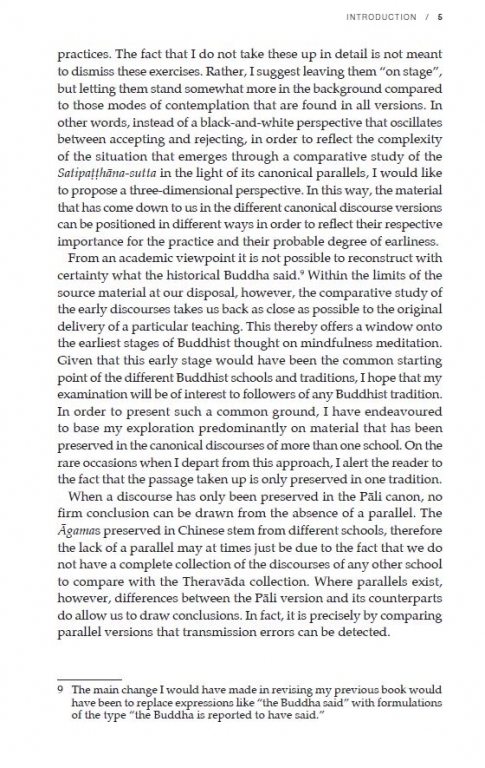 As mindfulness is increasingly embraced in the contemporary world as a practice that brings peace and self-awareness, Bhikkhu Anālayo casts fresh light on the earliest sources of mindfulness in the Buddhist tradition. The Satipaṭṭhāna Sutta is well known as the main source for Buddhist teachings on mindfulness and its place in the Buddhist path. 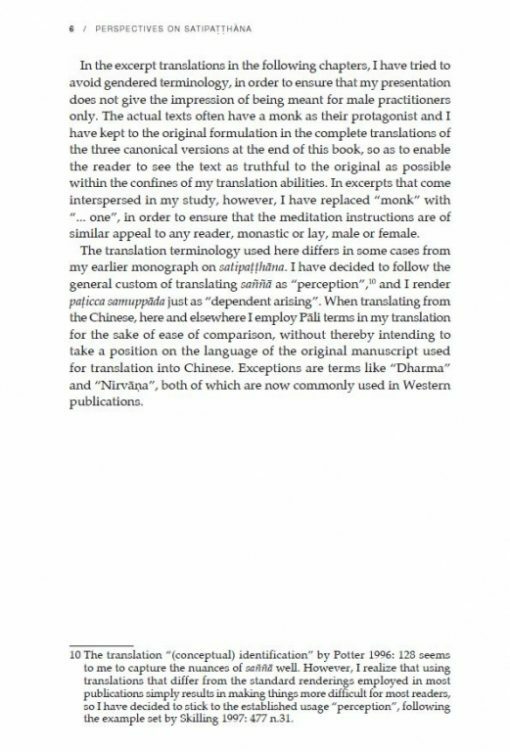 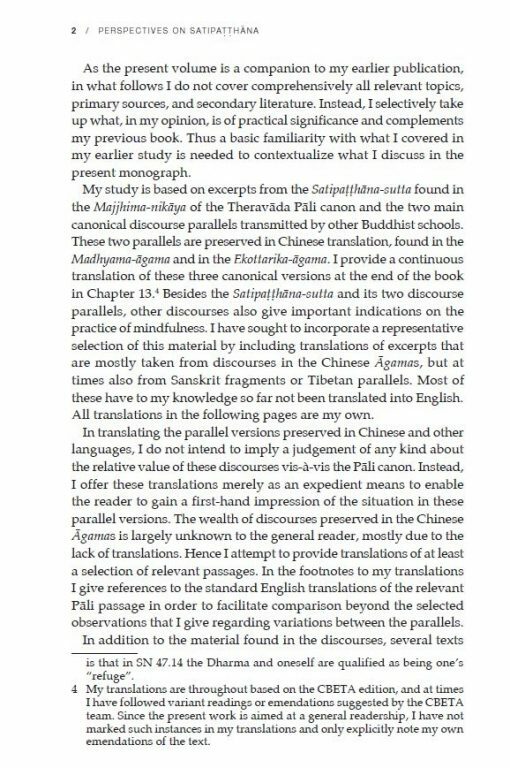 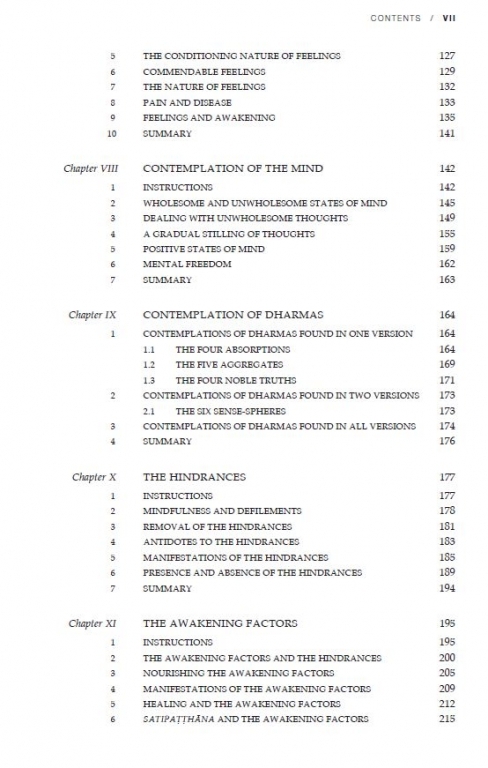 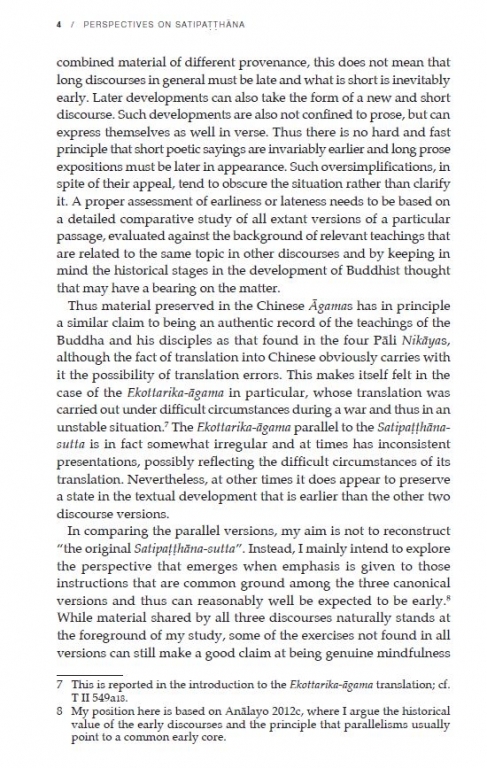 Ten years after Anālayo’s acclaimed study of the Sutta, his current work, Perspectives on Satipaṭṭhāna, brings a new dimension to our understanding by comparing the Pali text with versions that have survived in Chinese. 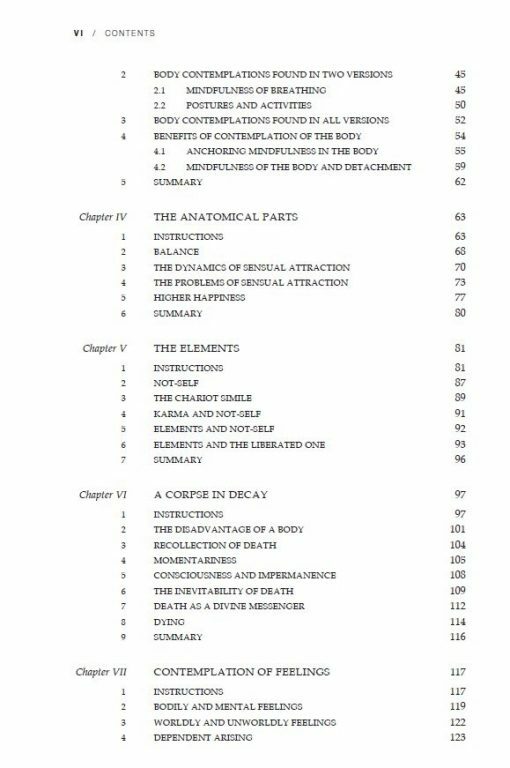 Anālayo also draws on the presentation of mindfulness in a number of other discourses as they survive in Chinese and Tibetan translations as well as in Pali. 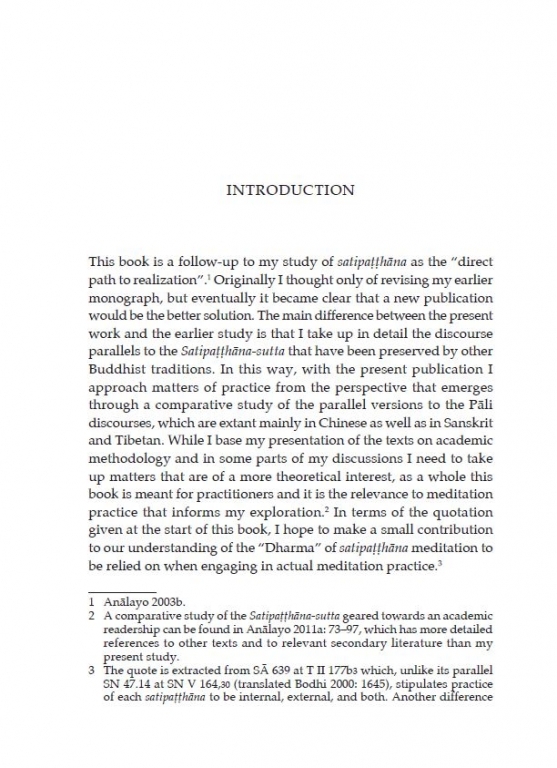 The result is a wide-ranging exploration of what mindfulness meant in early Buddhism. Informed by Anālayo’s outstanding scholarship, depth of understanding and experience as a practitioner, this book sheds fresh light on material that is central to our understanding of Buddhist practice, bringing us as close as we can come to the mindfulness teachings of the Buddha himself. 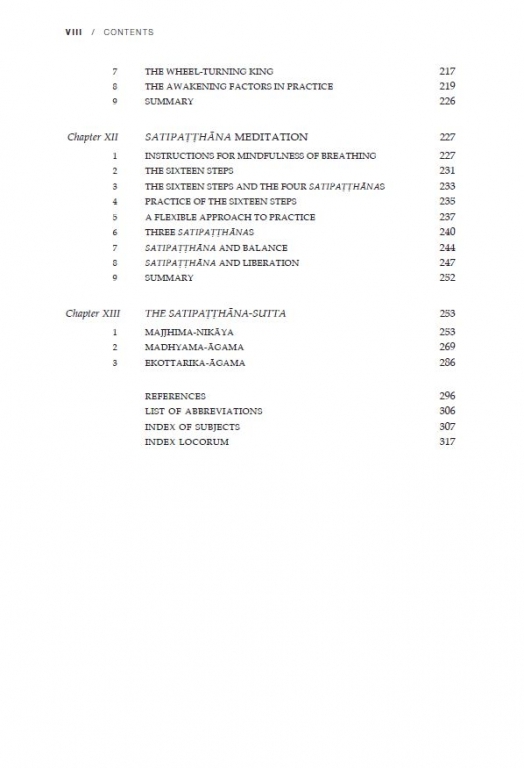 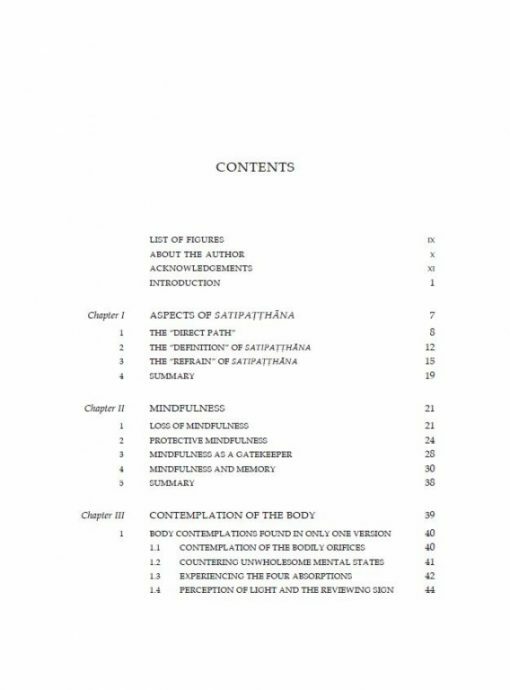 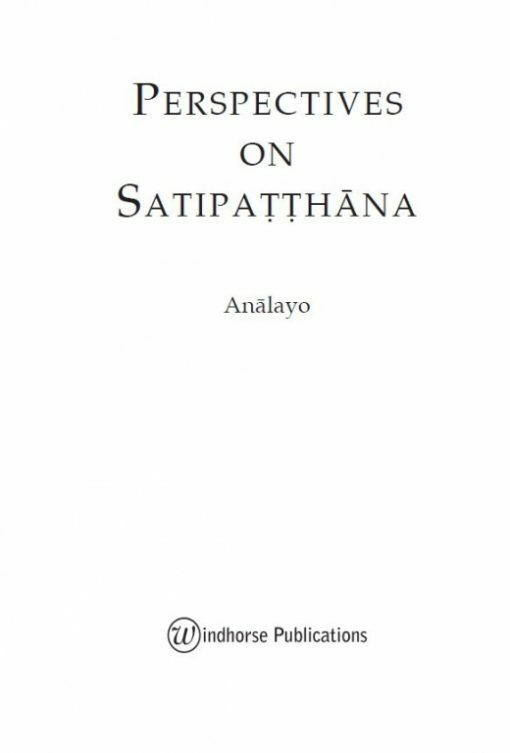 Perspectives on Satipatthana is illuminating and valuable, and a wonderful compliment to Analayo’s Satipatthana: The Direct Path to Realization. 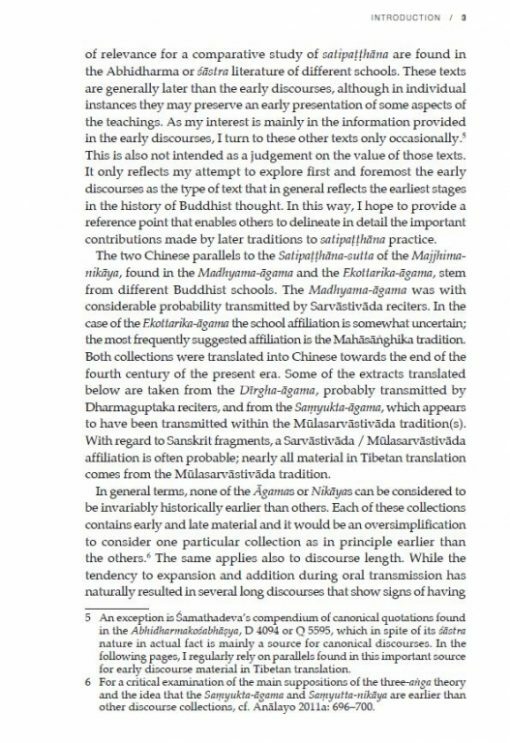 May both volumes be of profound benefit to the practice of many, and to the larger world of us all.